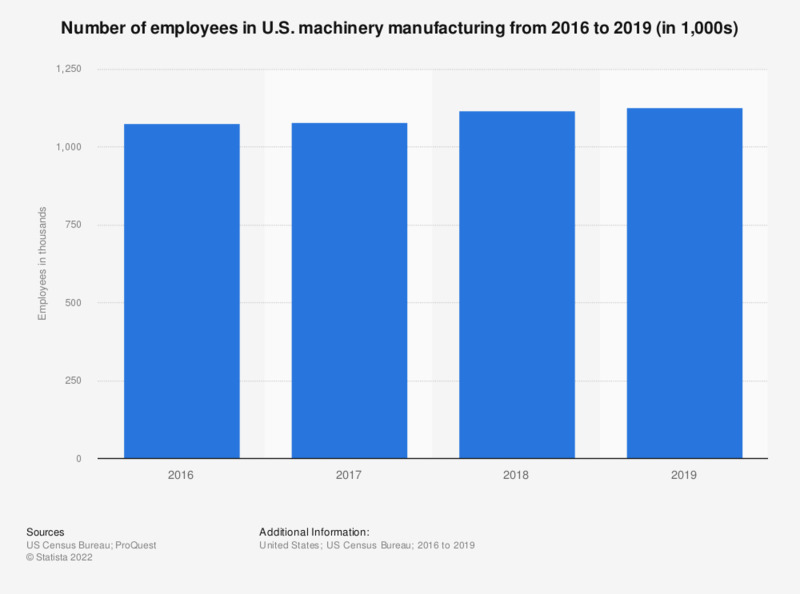 This statistic represents the number of employees in the machinery manufacturing in the United States between 2000 and 2017. A little more than million people worked in the U.S. machinery manufacturing sector in 2017. According to the source, the figures cover all full- and part-time employees who worked during, or received pay for, any part of the pay period including the 12th of the month. The 2005 value is taken from a previous edition of the Statistical Abstract of the United States.